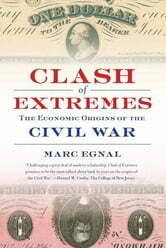 Clash of Extremes takes on the reigning orthodoxy that the American Civil War was waged over high moral principles. 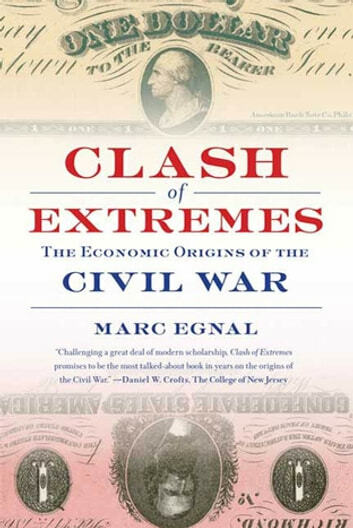 Marc Egnal contends that economics, more than any other factor, moved the country to war in 1861. Drawing on a wealth of primary and secondary sources, Egnal shows that between 1820 and 1850, patterns of trade and production drew the North and South together and allowed sectional leaders to broker a series of compromises. After midcentury, however, all that changed as the rise of the Great Lakes economy reoriented Northern trade along east-west lines. Meanwhile, in the South, soil exhaustion, concerns about the country's westward expansion, and growing ties between the Upper South and the free states led many cotton planters to contemplate secession. The war that ensued was truly a "clash of extremes." Sweeping from the 1820s through Reconstruction and filled with colorful portraits of leading individuals, Clash of Extremes emphasizes economics while giving careful consideration to social conflicts, ideology, and the rise of the antislavery movement. The result is a bold reinterpretation that will challenge the way we think about the Civil War.